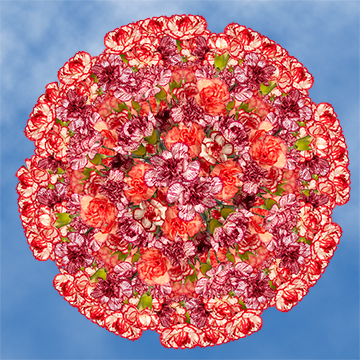 Color tones for all Bicolor Spray Carnations may vary due to the computer monitor and/or Mother Nature. 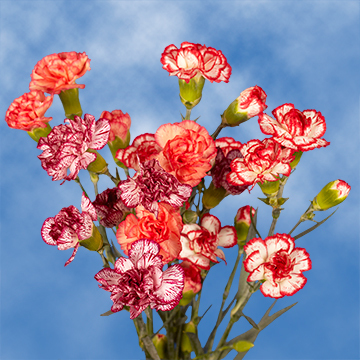 Bi-Color Spray Carnations are such dainty flowers with deep rich colors on the tips in which transpire into more delicate hues throughout the blossom. 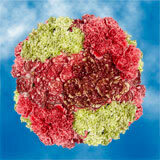 No event is more beautiful than when bi-color mini carnations are used to accentuate decor. 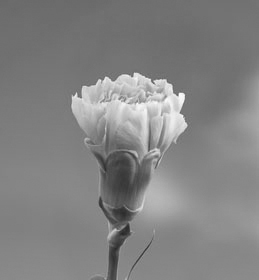 Used for a variety of functions, these florets exude elegance and class. 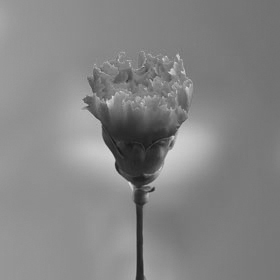 In many different reasons where smaller blossoms are necessary, they can be found as additions to wedding centerpieces, cake toppers, headpieces for bridal parties and more. 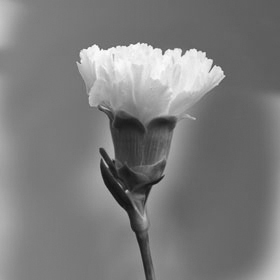 One stem of mini carnations has four to six blooms, providing an alluring, fragrant aroma. 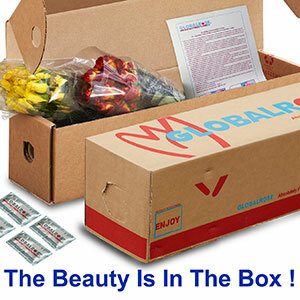 Our products are available year-round to ensure you have what you need at any time. 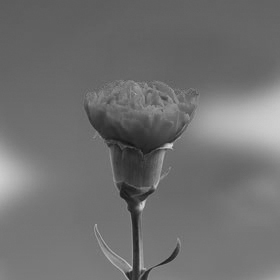 The freshest blooms you can find, our products are specially grown in state-of-the-art greenhouses to give you natural, youthful and effervescent stems. 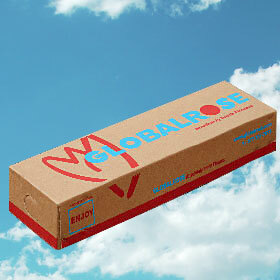 Shipping is a breeze with Globalrose.com. 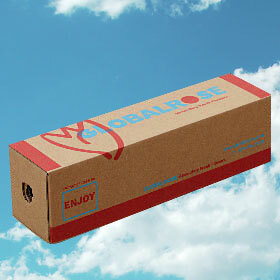 You will receive your orders as if they were packaged right in front of you. 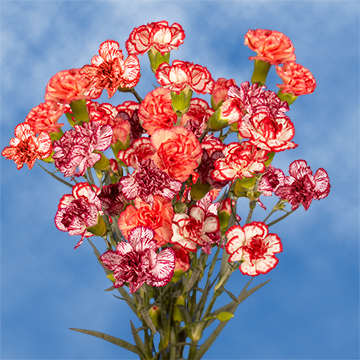 Each stem of our bi-color mini carnations are beautiful and healthy with every petal in its rightful place. 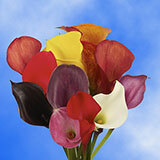 We offer the freshest selections of flowers you can find anywhere. Our team works hard to deliver you the best - in every sense of the word. 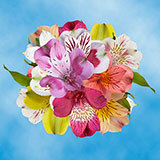 The best prices, the best options and the best flowers. There's no competition when it comes to value. 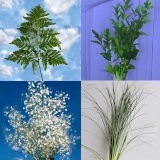 Our wholesale prices make having a grand event affordable. That's why we're here and that's our service guarantee to you. 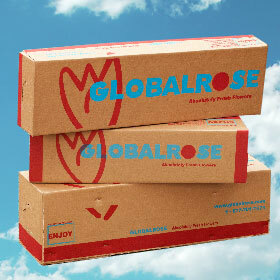 Thanks for choosing Globalrose.com. 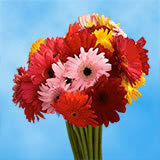 Bi-Color Spray Carnations. 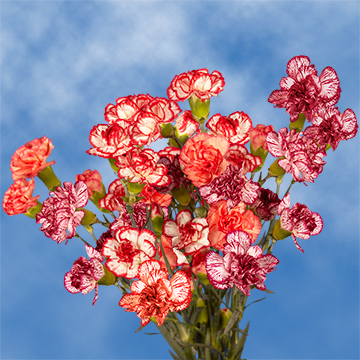 Trust us when we say that our Bi-Color Spray Carnations will catch your eye! 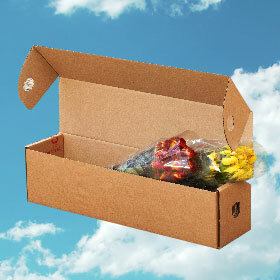 GlobalRose specializes in providing Bi-Color Spray Carnations in large quantities with free delivery!